By Hanmero in New Arrival on 2017-06-24 . Priming promotes adhesion making it possible to hang on difficult-to-stick-to surfaces like glossy painted walls. Pigmented primers have a white hiding pigment which makes the entire wall uniformly white—very important in today’s world of wallpapers that are not 100% opaque to prevent the old wall color from showing through. Here’s something to consider: Wallpaper doesn’t stick to your wall, it sticks to the paint on your wall. Chances are excellent that the paint on your wall is some form of latex paint. Ordinary interior latex paints are not suitable for wallcovering installations without some sort of priming treatment. Latex paint is commonly in contact with the wet wallpaper paste for a day or longer during the drying process. During this time the latex loses its integrity and softens into a rubbery film. This softening can wreak havoc with the wallpaper installation because every good installation requires a sound, hard surface to hang on. Even worse, a very porous latex can allow paste to travel all the way into the paper facing of your sheetrock making later removal an awful chore. 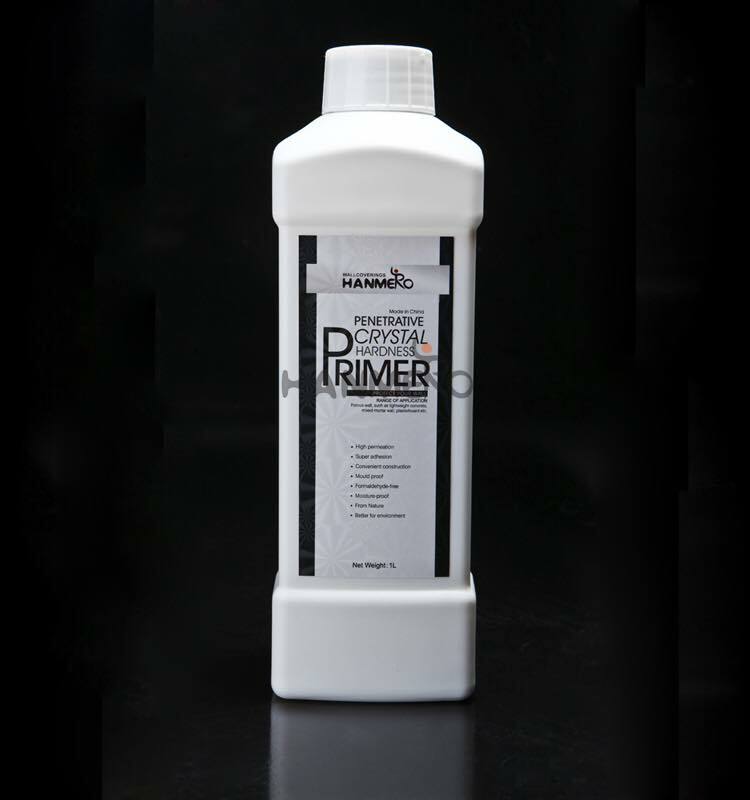 HANMERO Wallcovering primers, particularly wall protecting primers are specialty products designed specifically to prevent wallpaper paste from softening the latex paint paint on your wall and making the wallpaper become a part of your wall. By preventing this infiltration and isolating the past right at the surface of your walls ,it is ensuring that there will be no ripped up holes in your sheetrock when it comes time to remove the paper. If you are insterested in HAMMERO wallcovering primer,please kindly email us info@hanmero.com. We can show you more details. New Arrival Modern PVC Embossed Wallpaper With Kisses Wall Designer From China. HANMERO high end wallpaper with dropping particle.